When it comes to your personal protection and the protection of your property, is there such a thing as “too much”? Hard to say really. But if you have the time and the means, you should spear no expense in securing your home. Sure, having you very own machine gun turrets installed on the lawn would be excessive indeed, not to mention extremely illegal. But luckily there are other ways of securing a perimeter, and they’re far less expensive than advanced military technology. Building a fence around the area you’re trying to protect is the way to go, and nothing would be more efficient than your very own electric fence system. Electric fences are less obvious than barbed wire and more efficient, as they can deliver quite a punch to anything and anybody that dare to intrude on your property. To be more precise, the system uses alternative current (A.C.), and via a transformer, turns it into electric pulses. A mechanical trigger is activated when something comes in contact with the wires and the current is released immediately. The current shoots out the power terminal, goes through the wires as high voltage electric pulse (can go as high as 10.000 V) and it’s picked up by a second terminal, which consists of a rod (mostly copper) that’s implanted in the ground. Such fences are highly used today in agriculture (they deliver mild, discomforting shocks to keep animals away) or in prisons (where voltages are lethal). Such technology is available for everybody who takes prepping and personal safety to the next level. And believe it or not, installing an electric fence has its own advantages over more traditional methods. If done right, you won’t be sorry won’t went for an electric fence instead of barbed wire or anything else. And here’s a list of reasons as to why. Believe it or not, it’s true. The materials are cheaper to buy and the installation process will be cheaper as well. This is because an electric fence requires a lesser quantity of wires and fewer posts as opposed to traditional fencing methods. It’s not meant to be strong and withstand mechanical forces, but rather cover a big enough area to stop all sorts of intrusions. It may be frailer than barbed wire, but it will do some much more than scratch the surface of your skin; it can make you wish you’d never been born. Because the key components are fewer and lighter, you can install your electric fence by yourself, although I’d advice against it. But even if you plan on doing it yourself, make sure you know what you’re doing. The materials aren’t that heavy, not even the posts, so the installation will go faster than if you’d be installing a traditional fence, where you’d need to dig holes. The thin electric fence poles require no such effort on your part; just take them out and stick them in the ground. The system will require very little attention on your part. Just pay some attention to the battery system and the console from time to time, to make sure that everything is working properly. Also, they should be kept clean and dry at all times to avoid unwanted electric discharges and system shutdown. The wires require no maintenance unless the fence has been hit or damaged in one way or another. Because it has fewer and lighter elements compared to a regular fence, you can modify the structure with ease. You can add or take out poles in matter minutes. 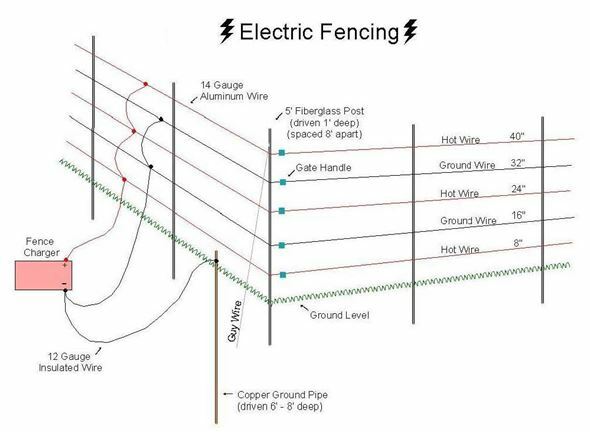 The intensity of the electric discharge is customizable, depending on the types of charge you’re using, but also on the materials that the fence is made up of. Barbed wire can be easily cut and taken down by perpetrators, and once the fence is gone, the way is clear. Electric fences can’t be cut, as they’ll release thousands of Vs when the cutting tool comes in contact with the wire. So not only is it hard to go around, but it’s also very hard to interact with a fully charged electric system without getting the shock of a lifetime. 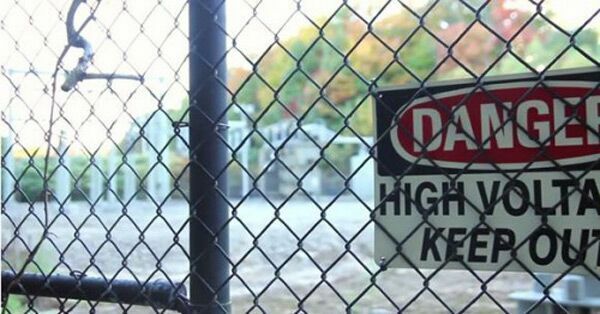 Of course, there are some things to keep in mind and consider before installing your very own electric fence. The systems are effective, but you’ll need to keep the area around the fence as clean as possible at all times so that nothing’s growing in the vicinity of the wires. Growing plants could complicate the situation, so make sure there are none close to the wires. Thunderstorms could also spell trouble, as the electric discharges could shut the fence down. But repairing the electric fence shouldn’t be much harder than installing it, so that’s a plus. To make it even more effective, you could conceal it, so whoever is trying to breach your “fortress” will get a nasty surprise. However, most states have very specific laws regarding electric fencing visibility and signaling. So do some research and stay out of trouble. Mustard is a great addition to anybody’s kitchen. Not only is it a potent ingredient that will better the taste of pretty much anything it touches (almost anything), but it’s also very healthy. It’s very rich in selenium, nutrients and antioxidants, making it reputable for combating inflammations and relaxing muscles. A single teaspoon of yellow mustard seeds packs about 85mg of omega 3 fats (the good type of fat), 25mg of potassium (K), 29mg of phosphorus (P), 18mg of calcium (Ca) and about 10mg of magnesium (Mg). With so many beneficial elements, no wonder people have been consuming it since antiquity. To Romans were the first to add the mustard seed to their diet, by mixing the ground mustard seeds with wine; the overall result was a condiment which was vastly used in Roman cuisine. The Egyptians saw it also a symbol of good fortune, so they tossed mustard seeds in the tombs of the pharaohs, so they’d have good luck in their next life. The medicinal benefits however, were fully understood later on, in medieval times. The French monks used a mustard-based paste, which was used in treating many ailments: it was used for back pain and muscular relief, for toothaches, as a digestive stimulant, for improving blood circulation and clearing up the sinuses. As you can see, it’s an all-purpose tool, and next, I’m going to explain further uses for mustard. 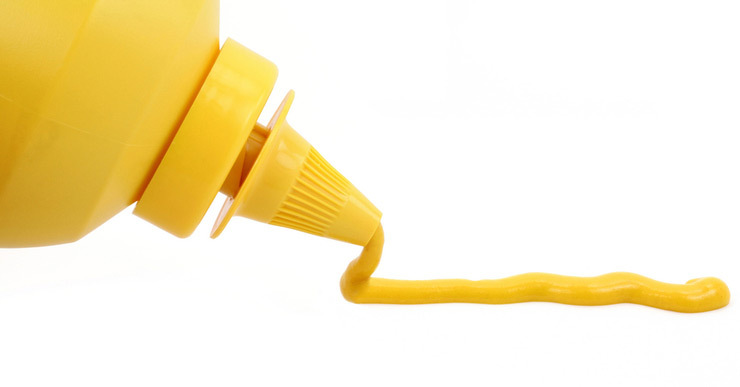 The potent and active enzymes found in mustard will take out any unwanted odor from almost anything. Whether it’s sweat, food smells or even the smell of some disappointing perfume or fabric softener, worry not! Just make a mixture out of 3 gallons of hot water and 1 – 2 cups of dried mustard. Mix it well and add some to a spray bottle. You can spray it to your car tires, the rims, the underbody of the car, the trunk and the car mats. After the bad smell is gone, you can spray with water and clean with a piece of dry cloth. You could also try spraying the solutions on smelly pieces of clothing, but mustard spots are usually very tricky to remove. If you have your very own garden and you’re reluctant to using chemical agents in dealing with your weed problem, you’ll be glad to know that mustard is the eco-friendly way of getting the job done. If you want to, you can event plant mustard every here and there, but its even easier to scatter mustard seeds all around the garden. When the mustard seeds come in direct contact with the soil, they’ll discharge some specific nutrients. These nutrients make the soil hostile territory for all sorts of weeds; you’ll reduce your weed problem dramatically. However, mustard can be detrimental to some plants that you might not want gone from your garden, so do some reading on the subject a bit. Mustard works really well on relieving the pain caused by burning accidents, no matter how deep the burn. The first thing you’ll need to do is to get your burned area under cold, running, water. This will alleviate some of the initial stinging sensations and will also clean the burned area. After 20 – 30 seconds, stop the “water treatment” and grab a hold on the jar of mustard. Any type of mustard will do, just spread some all over the burned area and wait a few seconds. The pain should cease in a matter of seconds. Keep in mind though that this is a temporary pain relief solution, not a treatment; you should get yourself checked by a doctor a.s.a.p. to avoid complications. if you have some mustard powder (paste works too) and some baking soda, you’re fine. Just add the two together (2 parts mustard, 1 part baking soda) and mix them up. Apply the resulting mix on the dishes (which have been previously washed with water) and let it sit for 5 – 7 minutes. Once the time is up, simply rinse them with water. You’ll be amazed at how sparkly they’ll be! I am sure that you’ve understood by now the importance of having some mustard around the house, be it paste, powder or seeds. Mustard can do so much more than making your hotdogs tastier, it will get you out of all sorts of predicaments. Oral hygiene is of utmost importance, and we’re familiarized with the toothbrush and toothpaste from an early age. Keeping your teeth clean on a daily basis is vital for preserving oral hygiene. But despite the rigors and norms of the modern consumerist society we live in, there are many other ways of keeping your teeth clean and healthy. And they work best in a TEOTWAWKI scenario when the products we’re used to won’t just be available anymore. You’ll need to improvise, but luckily there are many substitutes for the traditional methods and products. And despite what many people believe, teeth aren’t made of glass. Cleaning them with something else other than toothpaste won’t damage them in any way. There are plenty of raw foods that known to have a cleaning effect on the teeth (apples, pears, carrots); provided they are hard enough (soft and ripe won’t do), they’ll do wonders for your teeth and gums, preventing even gingivitis and canker sores. Here are some of the best replacements for modern teeth cleaning methods. Baking soda is probably the most famous alternative when it comes to cleaning the teeth. 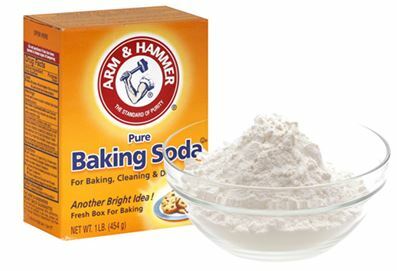 The baking soda’s natural properties let it neutralize acids that are harmful to the enamel, kills off bacteria that are responsible for plaque build-up and as far as aesthetics go, it’s an excellent stain remover. It’s used dates as far back as antiquity, as even Hippocrates himself had a mouthwash recipe based on baking soda, vinegar and alum. Alongside baking soda, there are many oils you can throw into the mix for added beneficial effects: cinnamon oil (has antibacterial and antimicrobial properties), peppermint oil (has antibacterial effect, it freshens the breath and it clears up the sinuses), clove oil (fights off bacteria and has painkilling properties) etc. These oils work in more ways than one. If you have swollen gums, you can dip a piece of clean cloth or gauze in any of these and a place over the affected area; for best results, let the gum-pack sit overnight. Salt is the ingredient that no serious prepper should go without. And believe it or not, it even serves a purpose in the field of oral hygiene. Salt brushing can be used even today, in moderation of course; salt can whiten and brighten one’s teeth. It has mild cleaning properties and it can be used daily; you can also make a salt based mouthwash that you can use for disinfection purposes, against bad breath, tartar, plaque and even boost the healing process. Salt can be used raw or mixed with baking soda (30% salt, 70% baking soda); you can even add sage to the mix if you happen to have some at your disposal. Mouthwash is even easier to make; just add salt to potable water and there you have it. The product has been proven to be very effective against gingivitis, canker sores and harmful bacteria. It should be diluted with water before usage, because it’s a bit to abrasive on the teeth. Just mix equal parts of water and hydrogen peroxide 3% and you get a very effective mouthwash. However, you should never swallow the mixture. Before brushing your teeth, swish it around in your mouth and spit it out, but don’t keep it in for longer than 20 seconds. After you’re done, you can wash the toothbrush with the oxygenated water-based concoction, to destroy residual bacteria. Chewing on sticks and branches is a primitive teeth-cleaning method, that’s still used today among tribal societies. It might seem a bit rough, but it works. The method consists in chewing down on little twigs and branches and splitting them into several small brands. 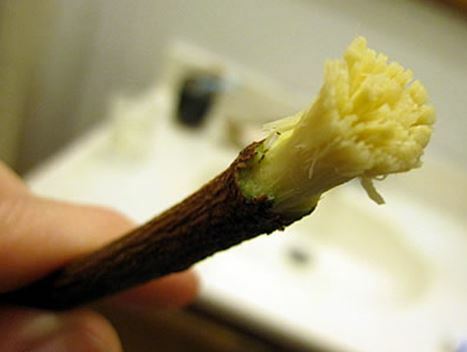 When you’re done chewing and the twig gets spread enough, you can use it to clean your teeth similar to a toothbrush. Some plants are more efficient than others, thanks to their healing properties. 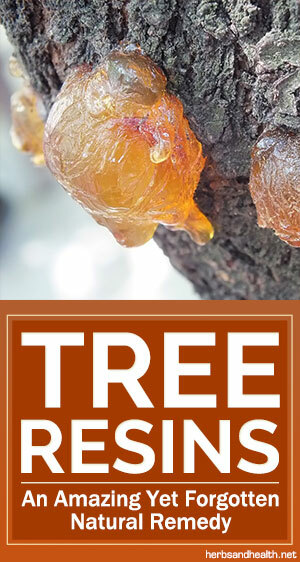 Some of the best and most spread DIY toothbrushes can be made out of oak, juniper, eucalyptus and the neem tree. Their rich in tannins that are extremely helpful in cleansing and curing gum-related afflictions and oils that stimulate blood flow. There you have it, some of the best methods to help you keep your oral hygiene even in the toughest conditions imaginable. When your toothpaste and mouthwash reserves run low, you’ll need to consider replacing them and fast. 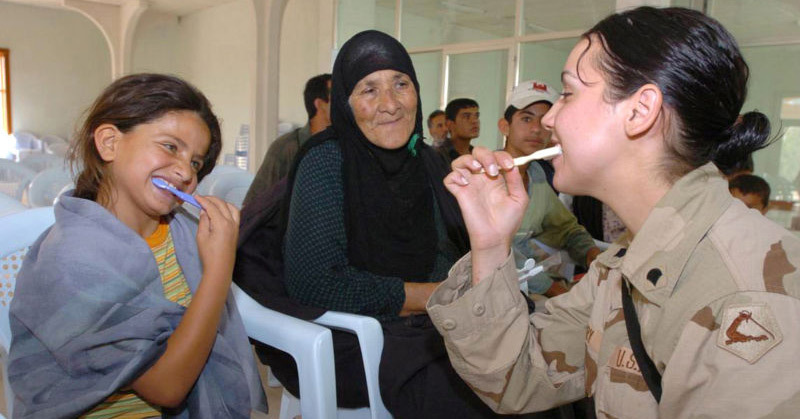 No matter how bad things get, overlooking oral hygiene is not an option.